She went through big defoliation yesterday, so looks fresh . Happy with growth. PS. 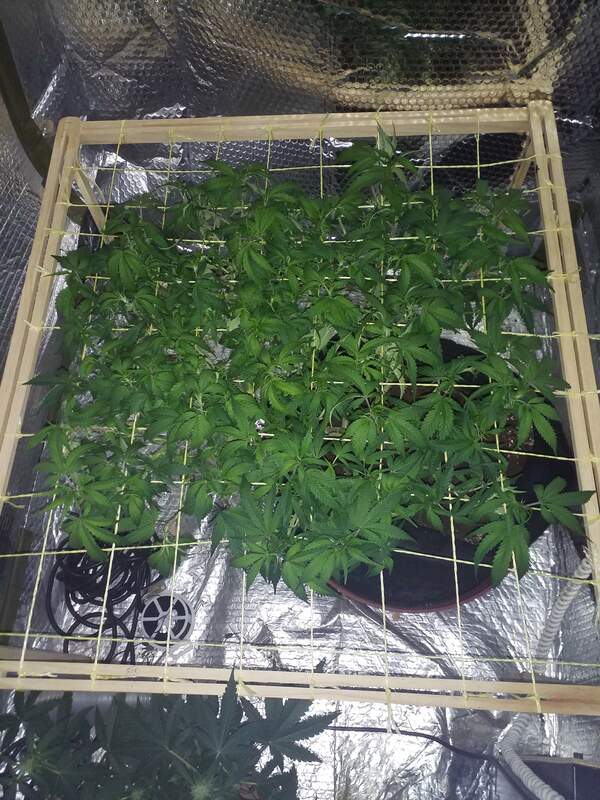 Scrog net size 85cm x 72cm. Almost a perfect square.